Digital Display Zone:show speed, distance, calorie, heart rate and program. 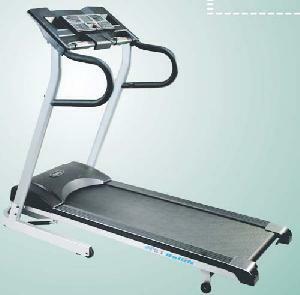 professional running belt, which can support user in 110kgs. Complete set is processed with precise design. Operation is steady and quiet. Firm steel and aluminium alloy frame enjoy eight year of guarantee period.